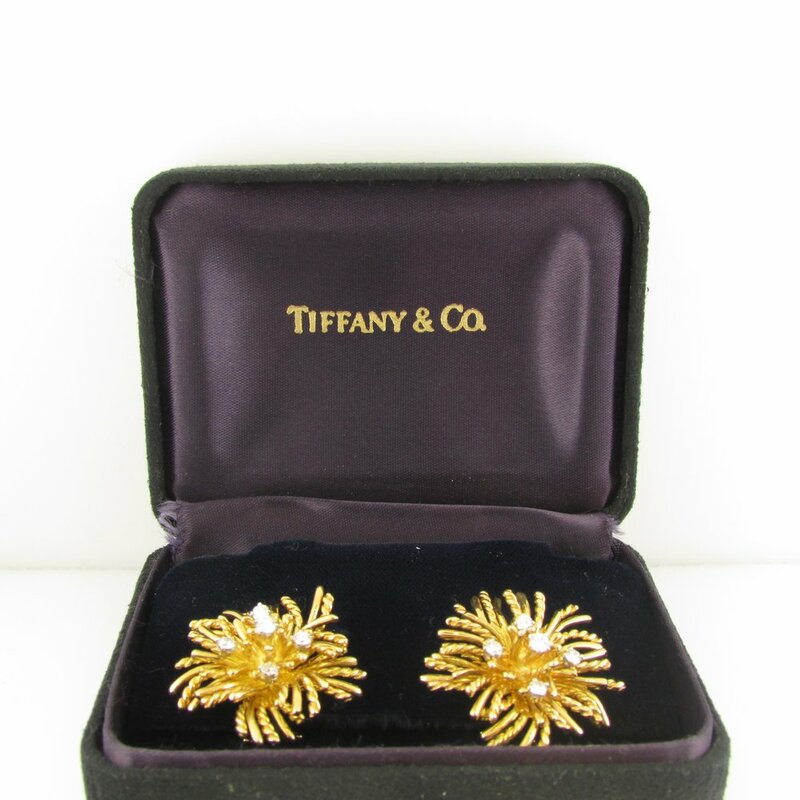 Anenome Earrings by Tiffany and Co.
18KT yellow gold and diamond “Anemone” earclips. Ten (10) round brilliant cut diamonds weigh a total of approximately 0.80ct. This is the larger size Anenome earring. Signed T & Co, 750. Sold with the original box. Clip backs, no posts.